Over 40 years of experience in the financial services industry. Don started his career in the insurance industry working with college seniors and graduate students at the University of Maryland, College Park campus. Over the next several years, Don built a very successful insurance and financial planning office with, at times, as many as 19 representatives. The office was consistently in the top three in the nation of all offices with his primary life carrier. He received his Chartered Life Underwriter (CLU®) designation in September 1975 through the American College in Bryn Mawr, PA. In the early 80s, Don recognized that the wave of the future for the insurance industry was heading into the investment area. This prompted him to get his Series 6 registration with the National Association of Securities Dealers (NASD), now known as FINRA, so that he could provide Mutual Funds, Variable Annuities, and Variable Life Products. In October 1989, he completed his Chartered Financial Consultant (ChFC®) designation through the American College. After managing the practice he had built for 23 years, he decided to retire from “office” management and return to full-time financial management for his clients in assisting them with their financial, retirement, and wealth management needs. 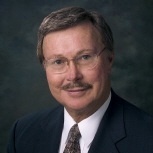 Don joined Capital Analysts Incorporated (CAI), his Broker-Dealer, in 1995. Don's affiliation with them presented him with state-of-the-art software, top shelf research, and personalized support to better assist him with managing client portfolios. In 1998, Don secured his Series 7 and 24 registrations with FINRA, so he could provide stocks, bonds, Limited Partnerships, and other securities-based products to his clients. This gave him the opportunity to truly assist his clients with the many facets of the wealth management arena. In June of 2012, CAI was purchased by another independent BD, Lincoln Investment, located in Ft. Washington, PA. Lincoln Investment was able to then create a wealth management channel utilizing the Capital Analysts advisors as their third marketing avenue. Don is married to his life and business partner, Ann. He is a proud father of two children, Donnie and Jennifer, and has four beautiful granddaughters - Shelby, Madison (Maddie), Emma, and Alyssa (Ally), and one handsome grandson, Reed. He enjoys spending time with his family, model railroading, and boating on the waters of the Chesapeake Bay. AL, AZ, CA, CO, DC, DE, FL, HI, IL, MD, MA, MO, NC, NJ, NM, NY, OH, OK, PA, SC, TN, TX, VA, VT, and WV. AL, AZ, CO, DC, DE, FL, IL, MD, MO, NC, NJ, NM, OH, OK, PA, SC, TN, TX, VA, VT, and WV. Pinnacle Study Group - The objective of the Pinnacle Group is to achieve an even higher level of personal growth and professional development. We currently have eighteen members, all of whom are "Top of the Table" or "Court of the Table" producers, and each with several years of experience. A prospective member is carefully screened before he or she is invited to join the study group and he or she maintains a membership on a provisional basis for the first year. The group is limited to a maximum of 18 members. The Million Dollar Round Table (MDRT) is a global, independent association of more than 43,000 of the world's leading life insurance and financial services professionals from more than 500 companies in 67 countries. MDRT members demonstrate exceptional professional knowledge, strict ethical conduct and outstanding client service. MDRT membership is recognized internationally as the standard of excellence in the life insurance and financial services business. The award is not indicative of future performance. Working with the Million Dollar Round Table professional is no guarantee of future investment success.